to orange depending on the variety. 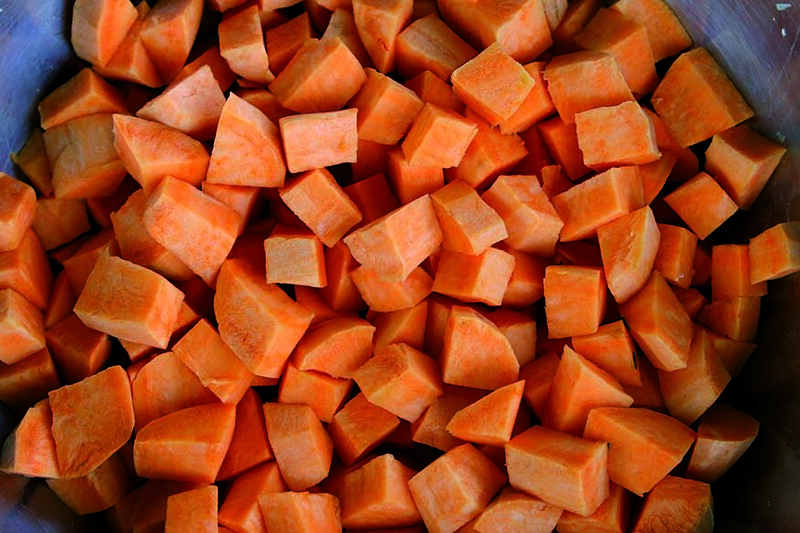 Sweet Potatoes contain starches, complex carbohydrates, fiber, beta carotene and vitamins B and C.
Sweet potatoes can be cooked in most ways that potatoes are – sliced and fried like chips, boiled, mashed or baked. 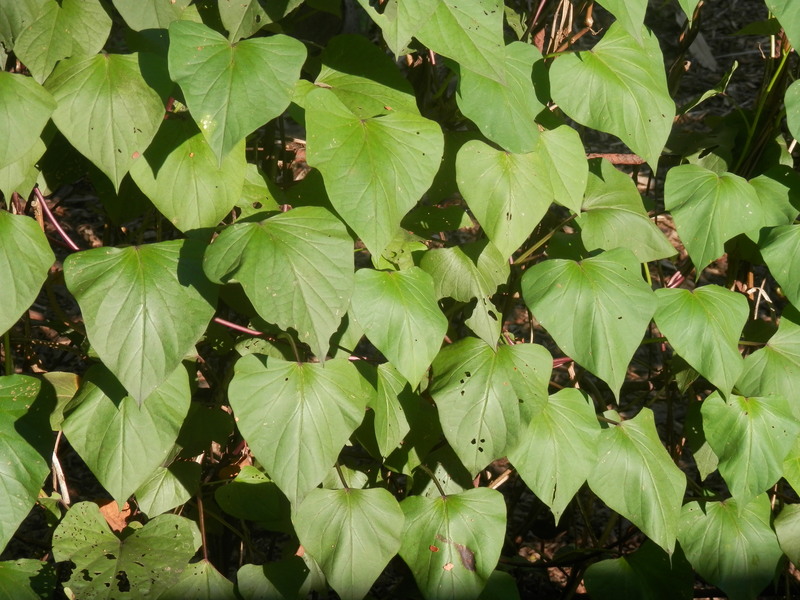 The young growing tips can be stir fried or steamed as greens. 2. Clean the sweet potatoes and prick a few times with a fork. 3. Line 2 baking trays with baking paper, place the sweet potatoes on one tray and put it in the oven. Roast sweet potatoes. 4. Toss all the ‘tandoori chickpea’ ingredients together in a bowl until the spices are well dispersed. Place them on the second baking tray and put it in the oven. Cook for 45 mins, or until tender to prick with a fork. 5. Roast chickpeas for 30-35 mins, stirring half way through. 6. Meanwhile, whisk together all ingredients for the tahini lime sauce in a small bowl. Then bring a small saucepan of water to boil and gently steam or boil leafy greens and drain. 7. Once the sweet potatoes have cooled slightly, cut them in half (lengthwise), and gently scoop out the flesh, being careful not to pierce the skin. 8. 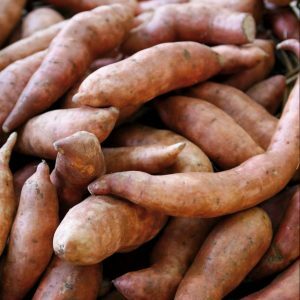 Transfer sweet potato flesh to a large bowl and mash with the ‘sweet potato’ ingredients, then stir through the leafy greens. 9. 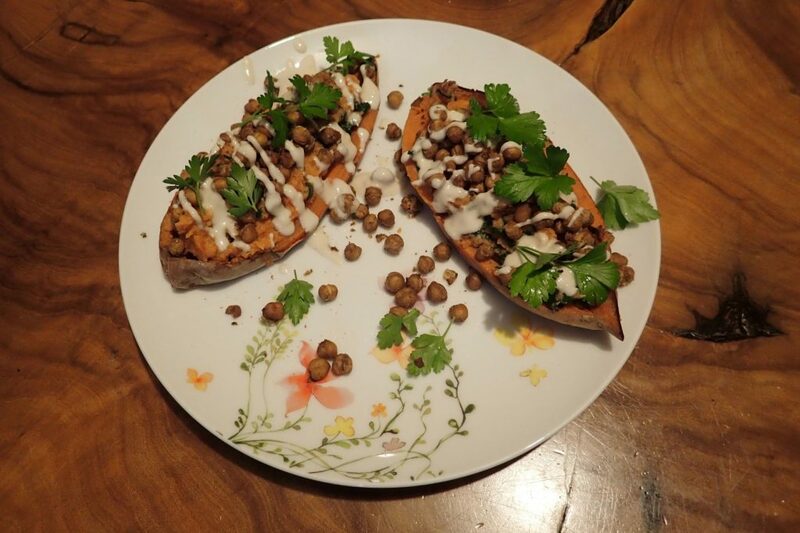 Transfer the sweet potato skins to a plate. Scoop the mashed potato mixture back into the skins. Top with the roasted chickpeas. Drizzle with tahini sauce and sprinkle with chopped coriander if desired. Heat coconut milk and stir in the sugar until it dissolves. Add diced sweet potato and bring to the boil, stirring regularly. Reduce the heat and simmer for 15 minutes until the sweet potato is tender. Note: Leave out the sugar to make a side dish for curry.